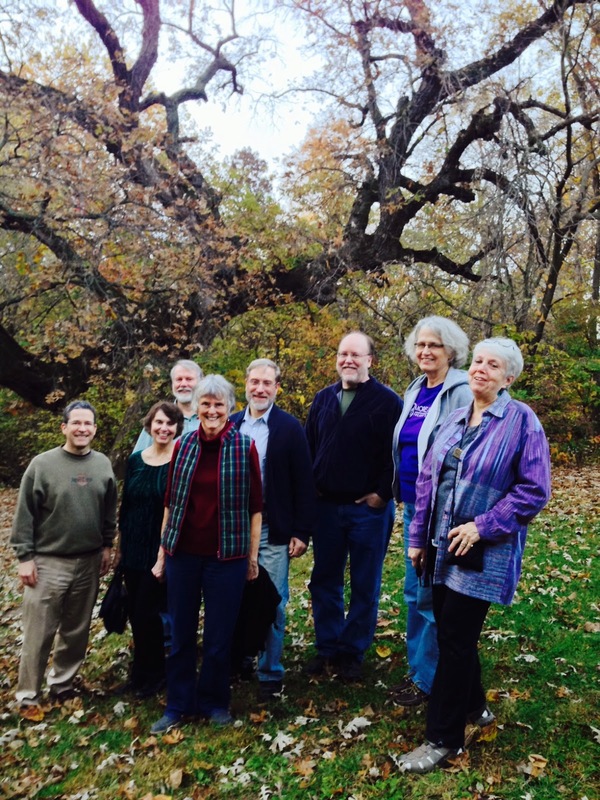 Members of the Steering Committee of Presbyterians for Earth Care gathered at Heartland Presbyterian Camp and Conference Center near Kansas City, Missouri late in October. Heartland Center sits nestled in the Missouri River bluffs, greeting them with multiple arrays of solar panels. Thanks to Heartland Earthkeepers for providing hospitality. The Steering Committee gathers once yearly in the fall for a visioning retreat. This year we appreciated briefings with Rebecca Barnes and Bryce Wiebe (staff with the Presbyterian Hunger Program) and Leslie Woods of the Office of Public Witness. 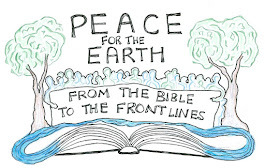 They reminded us that PEC helps keep the denomination accountable…in areas of eco-justice as we serve as a collective witness in keeping and healing the Creation. We welcome two new Steering Committee members, Curt Karns, who also serves as Executive Presbyter of Yukon Presbytery, and Kathleen Dove, an environmental planner in Orange County, CA. We send our thanks and gratitude to two Steering Committee members who have transitioned off, Fred Milligan and Mary Roberts. Fred worked diligently in areas of development and as a liaison to Eco-Stewards as an At-Large Representative. Mary served faithfully as Pacific Regional Representative before Kathleen accepted the position. Curt is the current Northwest Regional Representative, as Holly Hallman transitioned from that position to the Vice Moderator position. Jane Laping, previous Vice Moderator, has accepted the position of Coordinator. We are very thankful for their gifts of leadership as we move forward. The Steering Committee reaffirmed our commitment to care for Creation through prayer, word, and hard work. We are dedicating our time in areas of reflective leadership, as we examine ways of increasing our advocacy and witness. Our challenge is to work for eco-justice not only to a national and international audience, but very importantly now…at local and state levels. Our voices need to be heard!! Join us!!! Pray, speak out, and serve as a part of our collective witness. We need you! All Creation needs you! 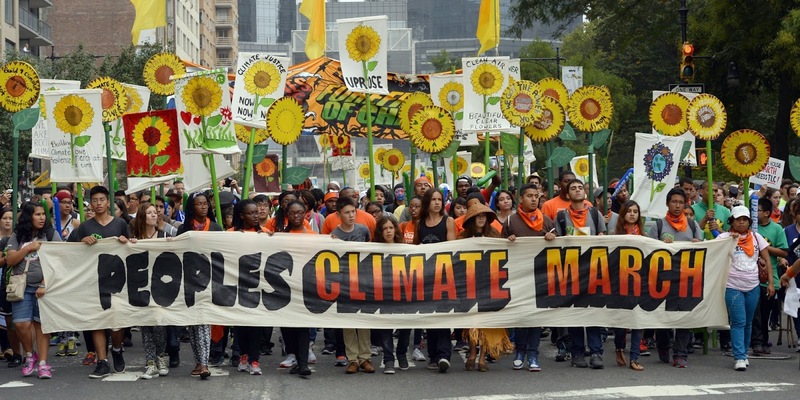 The People’s Climate March is over. It was a glorious day on the streets of New York City, where Presbyterians joined over 400,000 people from all walks of life. Our voices were heard – but the March is only the beginning of our work to call on global leaders to support a strong global climate agreement. As Christians, we know that the greatest commandment is to love God and the second greatest commandment is to love our neighbor. But the first commandment is to care for all of God’s creation. In Genesis 1, we are called to be stewards of all that God created, “God spoke: ‘Let us make human beings in our image, make them reflecting our nature so they can be responsible for the fish in the sea, the birds in the air, the cattle, and, yes, Earth itself, and every animal that moves on the face of Earth’” (Gen. 1: 26, The Message). Genesis 2 reads, “God took the Man and set him down in the Garden of Eden to work the ground and keep it in order” (Gen. 2:15). Caring for God’s creation is a huge responsibility and we cannot do it alone. We need to lift our voices with millions of other people of faith around the globe and let our leaders know that we need a strong global climate agreement. That’s why people of faith are joining the Our Voices campaign. Pledge to lift your voice in prayer that all leaders will support a global climate agreement by clicking here. The time is truly NOW that we who love all that God has given us must rise, reach out, collaborate and create a sense of urgency for caring for God’s creation. Please share this email with your networks, so that more voices are raised. Creator God, You have called us to be keepers of your Earth; through greed, we have created an economy that destroys the web of life. We have changed our climate and drown in despair. Let oceans of justice flow, may we learn to sustain and renew the life of our Mother Earth. We pray for our leaders, custodians of Mother Earth. May they negotiate with wisdom and fairness, may they act with compassion and courage, and lead us in the path of justice for the sake of our children and our children’s children. ~ Archbishop Emeritus Desmond Tutu. Fossil fuel–fired power plants are the largest single source of carbon dioxide emissions in the US. They account for a third of the greenhouse gases that contribute to climate change. Up until now, there have been no rules to control the amount of carbon pollution released into the atmosphere; carbon dioxide has not been a regulated air pollutant. Now, the EPA is proposing a Clean Power Plan to cut carbon pollution from power plants by 30 percent from 2005 levels, by 2030. The proposal will also cut pollution that leads to soot and smog by over 25 percent. The Clean Power Plan will give flexibility to states to choose how to meet their individual goals. • Increasing reductions of carbon emissions from power plants by at least 50%. 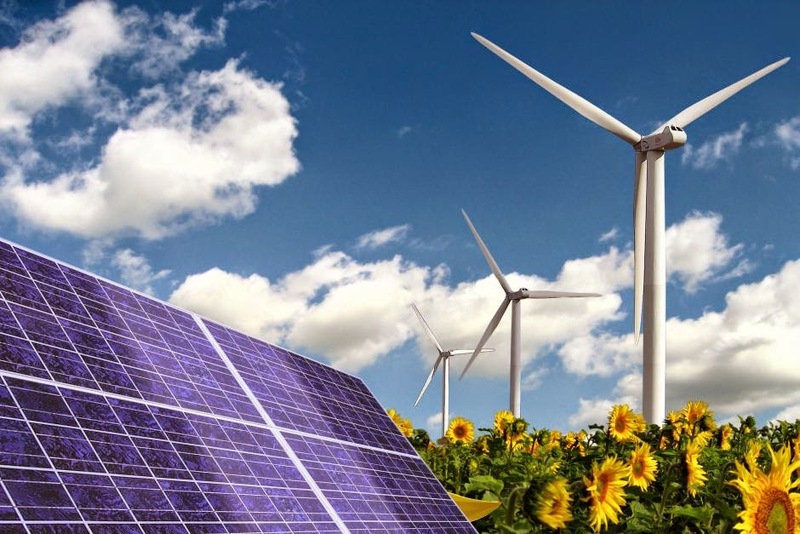 • Requiring at least 80% of our energy from non-fossil fuel sources by 2050. • Maintaining states’ schedules to submit plans by 2020, with no extensions. You can submit your own comments online or sign an online letter. The comment period on the Clean Power Plan is open until December 1. This action to restrict the amount of carbon that can be released is a big step toward reducing greenhouse gas emissions that are causing climate change. As Christians who take God’s command to be good stewards of the earth seriously, supporting this first time ruling is a simple way to protect God’s Creation and stop the increasing amounts of greenhouse gases that humans are releasing into the atmosphere. Send your comments to the EPA today!